Top Four Hot Spring Locations That You Need To Visit Before Summer! Winter is here, and it’s not going away for at least another few months which makes this the perfect opportunity to pack up, go on a holiday, and book a weekend away at one of the best hot spring locations that we’ve selected for you! Hot springs are natural areas where the earth warms the water around it. The result is a lot of warm water even during winters, and nothing could possibly be more relaxing. Such areas are popular tourist resorts, and if you haven’t been to such a place, you’re really missing out on life! Such springs also have natural minerals in the water and these are pretty healthy for your skin. So hurry up, and pack before summer reaches your area because it’s simply not half as fun during warm weather. 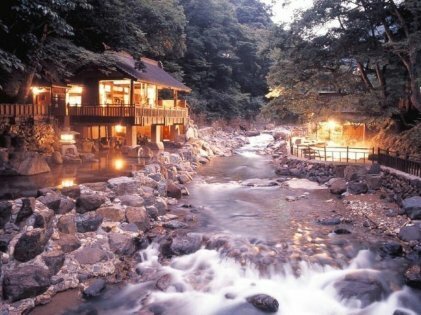 As if we didn’t already have enough reasons to travel to Japan, Takaragawa Onsen is yet another one! This is probably going to be one of the most beautiful places you’ll ever travel to in your entire life. The hot spring is located within a quiet, lovely forest which is in turn surrounded by a ring of mountains. The entire area is engulfed in nature and tranquility, and the locals are super friendly to boot! 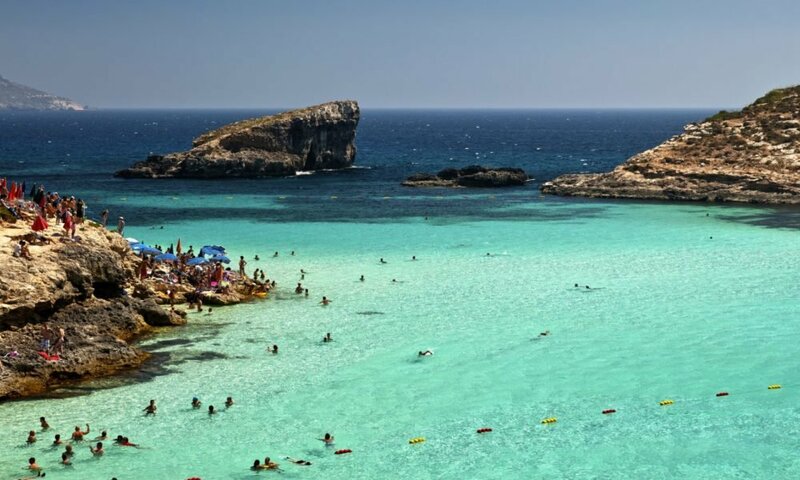 If you’ve got the chance to stay here for a few days, do not squander it because this will be the time of your life. Make sure you socialize as well because there’s more than just hot springs in this area. Japanese culture is extremely rich, and you’re sure to gain a lot from it if you give it a chance. Idaho has a gift for the entire world in the form of its hot springs. Consider yourself lucky if you find yourself on the bank of the Salmon because you’ll be pretty much in walking distance of the springs themselves! Idaho actually has two swimming pools which are run by water from the springs themselves. Of course, the temperature is regulated for a comfortable swimming experience. However, if you want water that’s untouched and straight from the springs, that can be arranged within the therapy pool where you can enjoy nature at its finest! Spending a week here can do you and your loved ones a lot of good, especially because the food here is pretty spectacular, too! The Blue Lagoon is officially one of the most visited hot springs in the world, and this isn’t only because of how amazingly gorgeous the place is! The Blue Lagoon is considered one of the best springs on earth because it maintains a great temperature all year round. You’ll never be too hot nor too cold once you take a dip, and we guarantee you’ll never want to get out again! 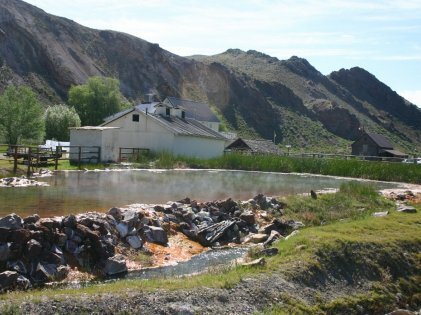 As if that isn’t enough of a reason to go there, the natural minerals found in the water in those hot springs are extremely beneficial to the health of all those who stay submerged for a bit. 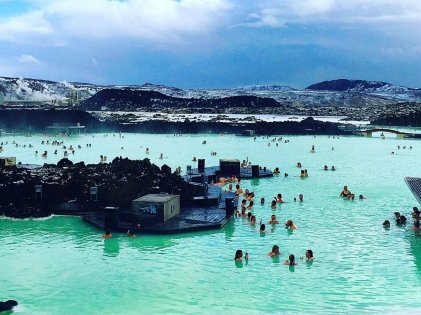 There’s no reason to not try out the Blue Lagoon, so why wait? Not many people visit Yellowstone for its hot springs. There’s so much to explore there already that most people forget all about how wonderful the warm, steaming water is over there. If you haven’t already, you really need to make plans to visit Yellowstone’s Boiling River because this entire river feels like an amazing sauna which is something that no one on earth should miss out on. Not only is the whole place unbelievably good looking, but it’s also surrounded by a whole lot of other things that you can do there. You can even use a few rocks to create your personal pool along the river bank, and if this doesn’t appeal to you, then you can always go for some surrounding hot springs. The temperature of the water stays great all year, so don’t worry about the cold! 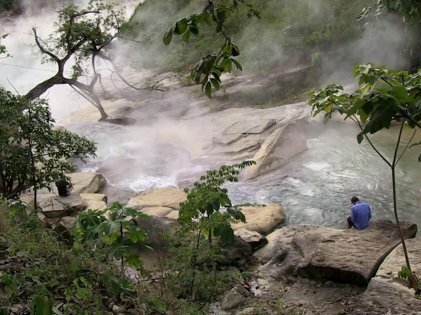 Not only is visiting a hot spring great for health, but you’ll also get rid of all the stress you’re carrying. So what are you waiting for?